A new resident to Abu Dhabi, John was eager to take as many photos of Abu Dhabi to send back home as he could. Having arrived in early January, one of John’s first purchasing was an iPhone that would work in the UAE. A quick visit to the Apple Store in Yas Mall, John was the now the owner of a brand new iPhone 6S. Sparkling, beautiful, flawless. He loved it! While walking on the corniche yesterday taking pictures of the palace, John lost his grip on the phone and watched it go crashing to the ground. Sick to his stomach, he picked it up to find the large cracks running all around the front of the screen. He was devastated. This was not the way to start out his new life in Abu Dhabi. Still able to use his phone, he began looking around for companies that could repair a broken screen on an iPhone 6S. Many of the sites and services he found looked a little sketchy. He wasn’t too confident in who would be handling his phone and what they would be doing to it. Fortunately he came across us at iRepairUAE. After a short phone call we lined up an appointment with John to meet him at his apartment on Reem Island. We met him in the afternoon and spent about 30 minutes on his phone. 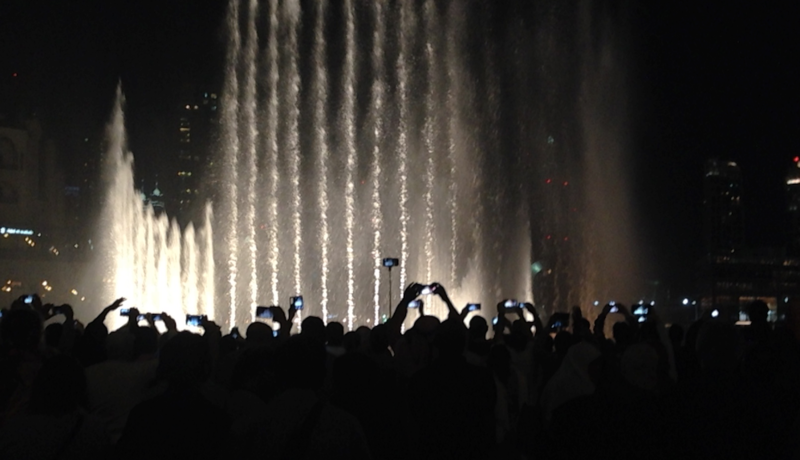 In well under an hour we had John’s iPhone 6S looking like new again, as if that walk on the corniche never happened. Of course, he’s going to have to delete those pictures from the corniche if he’s truly going to erase the whole incident. But it was right around sunset, and the palace looked so beautiful in those pictures. Maybe he can just work to eliminate that episode of his phone cracking from his memory. 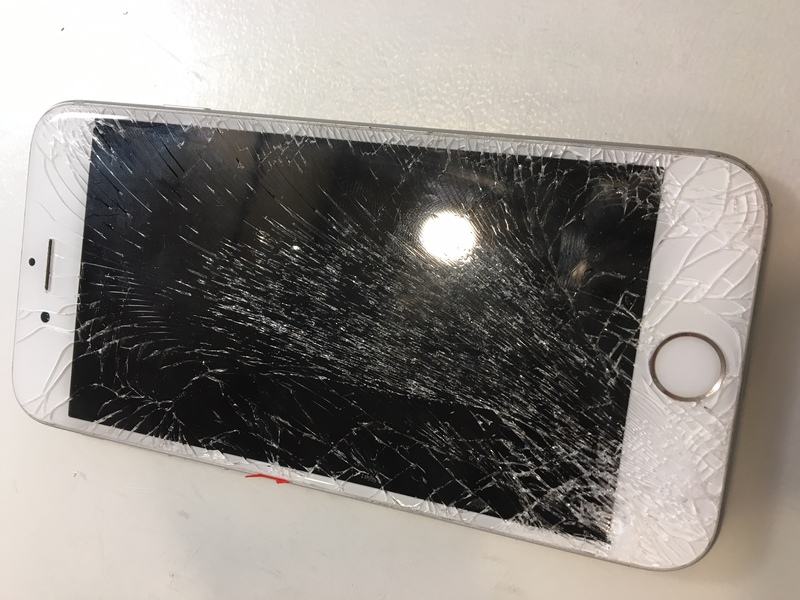 This was an interesting call we had today from one of our clients with broken screens on his iPhone 5C, iPhone 6S and Samsung Galaxy S6. He was quick to say that it had been a rough month in the household. 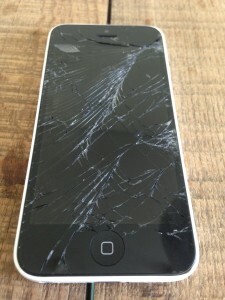 Lots of falls and tumbles will lead any smart with a cracked screen on the front. Each family member has a different preference for size and company. Fortunately for this Dubai residents, he stumbled upon a Apple repair service in Dubai that could repair all the broken screens at once. He was reluctant to call us at first, but once he did he was delighted to find that we would come to him and repair the phones right on the spot. He could even watch the three repairs being done if he wanted. When he met him at his home in Arabian Ranches, he told us how difficult it was to find an Apple repair service in Dubai that would be able to handle all of these repairs without having to send them away for a week or longer. We told him that the Apple repair service in Dubai does fix screens, but it usually takes upwards to 10-14 days. As many of us know, it’s practically impossible to be without our iPhones and Galaxys for that long. We’re not ones to toot our own horns, but we may just be one of the best services in Dubai and Abu Dhabi. We come to you to repair your screens and it usually takes about 45 minutes to do so. Not to mention that we’re certified by Apple and have done thousands of repairs over the years. We love what we do and take extra special care to make sure your phones are looking like new again and working properly. Always happy to help! Cracked iPhones and Galaxys Everywhere We Go! When we’re not repairing broken or cracked iPhone or iPad or Note or Edge screen, we do try to take some time to enjoy the wonderful experiences Dubai and Abu Dhabi and the UAE have to offer. Many times, however, we see a lot of screens on phones and tablets that we wish we could replace. 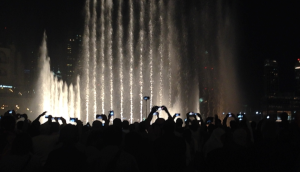 Just last night as we were walking around Burj Khalifa for the water show, we saw nearly a dozen people snapping photos with a broken screen. We such a beautiful presentation, it was difficult to watch with all those cracks! We took a picture of the scene and tried to count as many broken screens as we could. The number was astounding! Broken screen everywhere! If a friend or a coworker or a family member happens to be walking the UAE streets or beaches with a broken screens, please put them in touch with us. We’d be happy to meet with them and replace their screen. 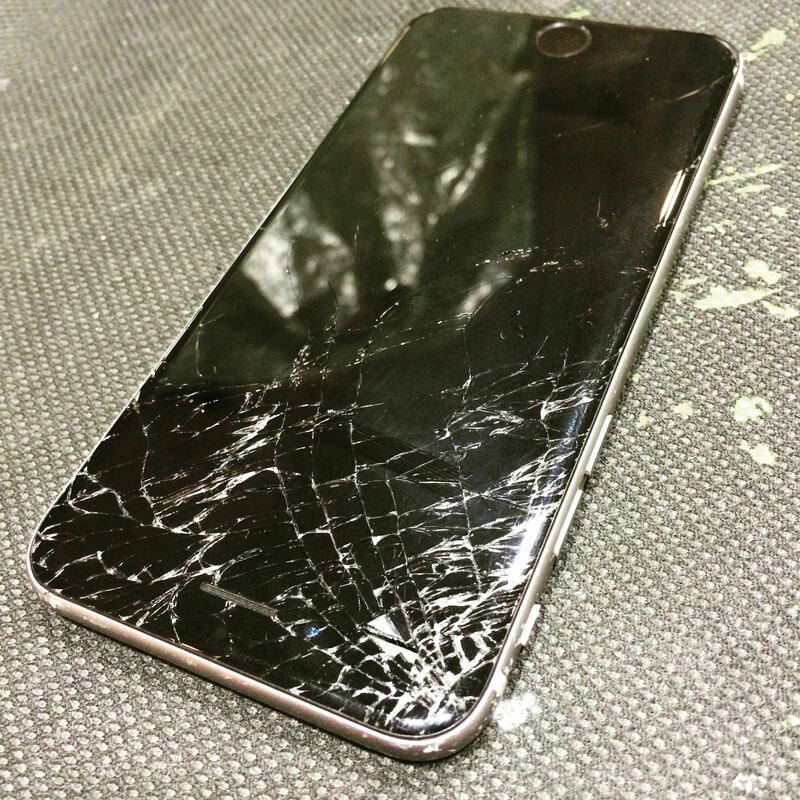 We do repairs on cracked iPhone, iPad, and Samsung screens. All you have to do is go to our site, check out the pricing, and either give us a call or fill out a repair form. 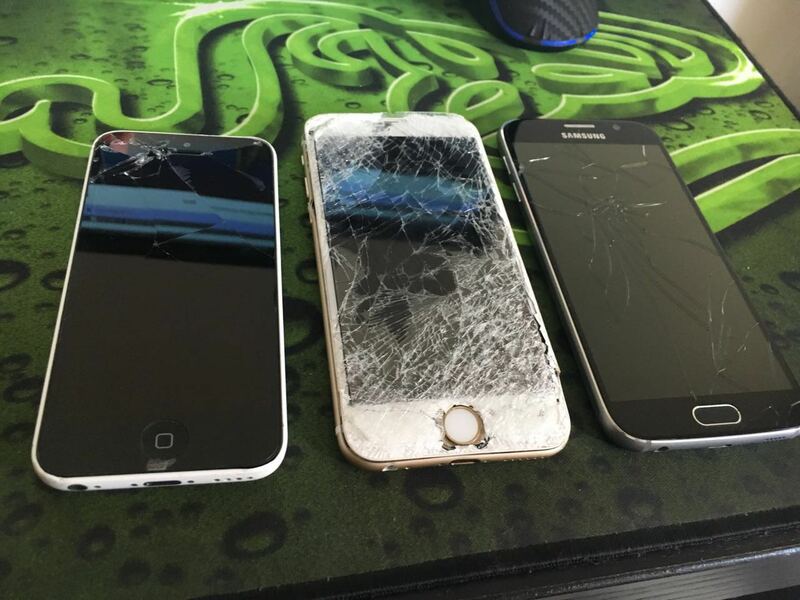 We’ll get in touch with you right away and replace your broken or cracked screen in no time. Our technicians come to you and repair the screen on the spot. The whole process takes about 45 minutes! So convenient! So before that next water show or walk on the beach, get your phone or tablet fixed today! Despite the no-so-fun circumstances, we are always looking forward to helping you get your broken or cracked Apple and Samsung devices fixed fast and conveniently. It’s just a matter of picking up the phone and giving us a call today. More often than not, we’re able to repair it on the very same day. Abby called us today nearly in tears with her cracked iPhone 6S screen in hand. She had been on her way to lunch when the one thing that we never want to happen, happened. Just as she was getting out of her car, her iPhone 6S that was on her lap decided to jump out of the car first. When she looked on the ground, her cracked iPhone 6S screen was looking right back at her, nearly crying itself. She quickly picked it up and started to brush her fingers over the shattered screen. Small bits of glass were slightly cutting her thumb and fore finger. This was horrible. She had only owned this now cracked iPhone 6S screen for just over three months. It was not a cheap purchase by any means. And now she was going to have a pay another small fortune to have in fixed. Abby had heard the Apple fixes cracked iPhone 6S screens in Dubai but in most cases it takes over a week for them to replace the screen and return. She needed an alternative. Was there any service out there that replaces broken iPhone screens in Dubai or Abu Dhabi? Sure enough, there is! Cue iRepairUAE.com to the equation! Abby gave us a call shortly after breaking her iPhone and we met her at her office in Bur Dubai. In under an hour and before she left for work THAT DAY we had replaced the cracked screen on her iPhone 6S. In the picture you can see what a terrific break it was. The glass from the fall was cutting her fingers at every swipe and it was just darn right painful to look at. If you or anyone you know runs into a similar problem, please don’t hesitate to call today. We’d be happy to arrange an appointment with you right away. For the sake of this post, we are not going to mention the name of the owner of this unfortunate iPhone incident. Instead, we will refer to her as just “M.” M is now in a happy state of mind. 24 hours ago, however, she was in a much different. Having waited and waited for the new update of the iPhone to come out, M was more than delighted to finally get her hands on the iPhone 6S. It was everything she had hoped and anticipated. What she didn’t hope and anticipate was getting out of her car one day and her brand new purchase falling to the concrete ground. 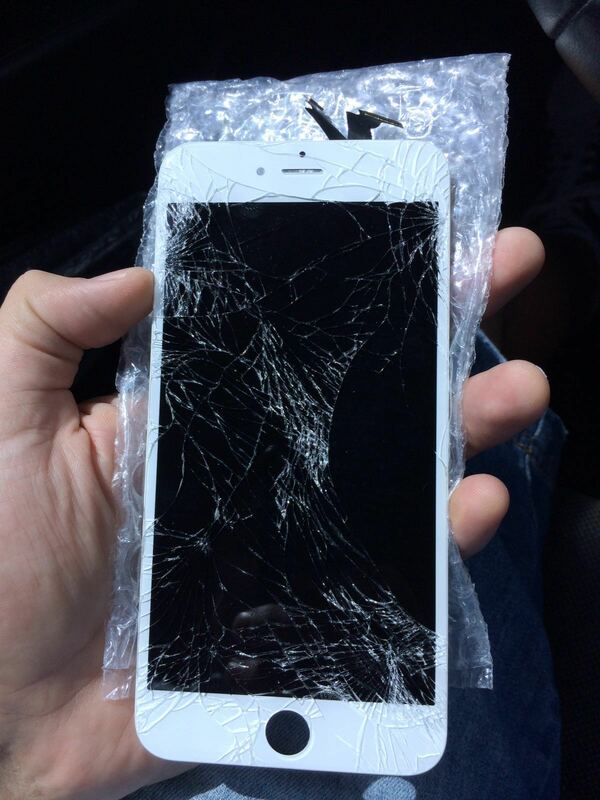 The result as you may have guessed can be seen in the picture – a shattered, cracked iPhone 6S screen. Devastating. Depressing. Fortunately, M was able to find a service in Dubai that repairs iPhone 6S screens in under an hour. She called us and set up an appointment. We were able to get her iPhone looking like it had just been opened out of the box. Like nothing ever happened.